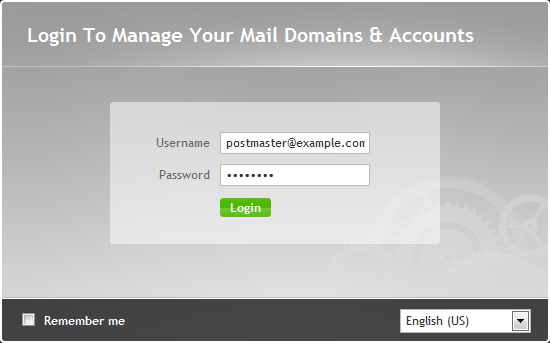 By default, iRedMail only enables two RoundCube plugins: "password" and "managesieve", so that you can change passwords, create filters, and set up vacation. The account has received two emails, read them carefully. 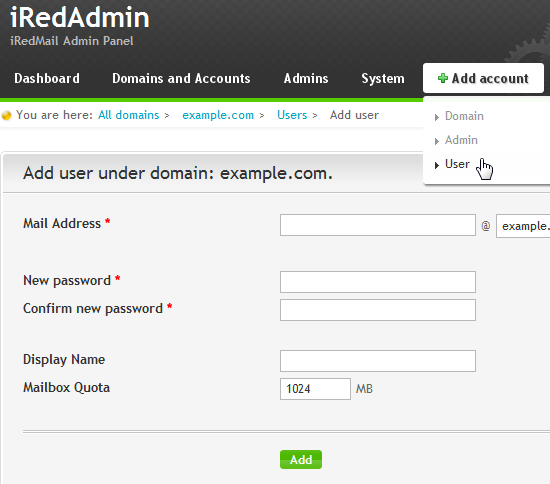 The iRedMail tips include all the passwords and settings of your mail server, keep it secret. 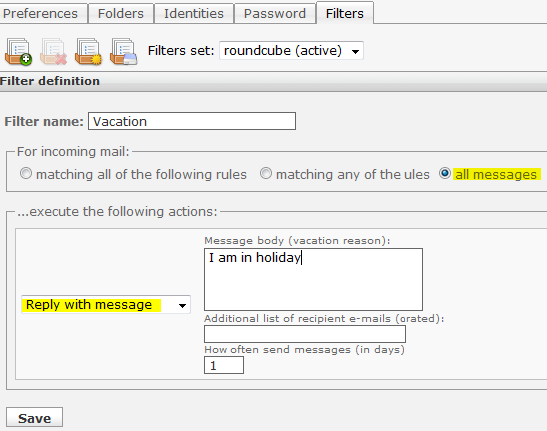 Note: because [email protected] is a root alias, it receives system emails. 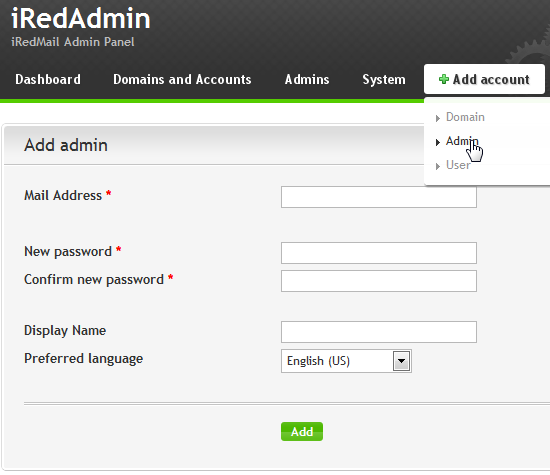 iRedAdmin Open Source Edition is a web-based iRedMail admin panel, it allows you to add, remove and edit domains, users and domain admin accounts. 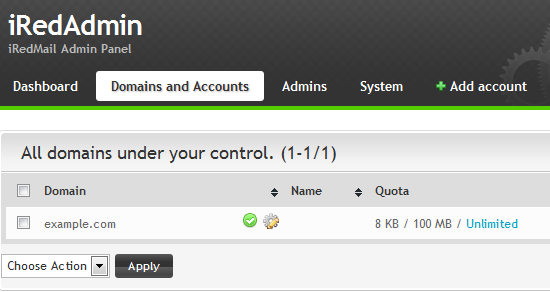 If you need more features, please consider purchasing the Pro edition iRedAdmin-Pro. 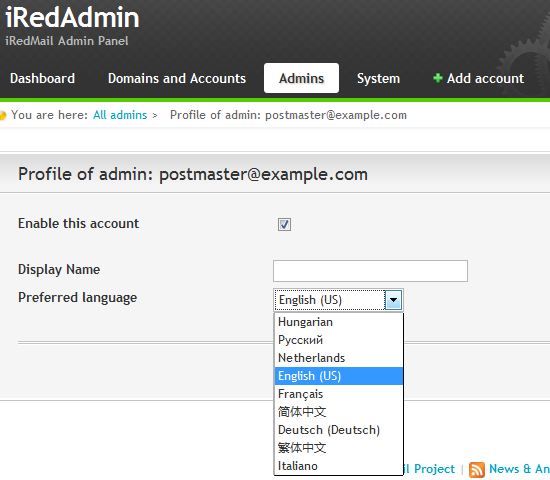 You can also manage all the features of iRedAdmin-Pro with phpMyAdmin. User password and related sensitive information. 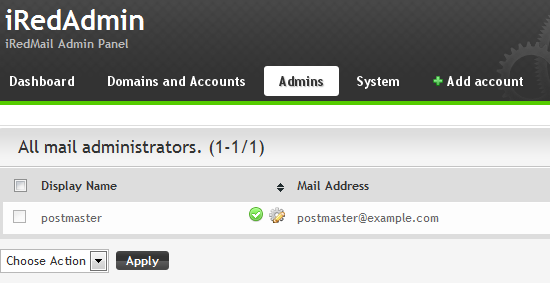 Location of mail server related software configuration files and other important information. 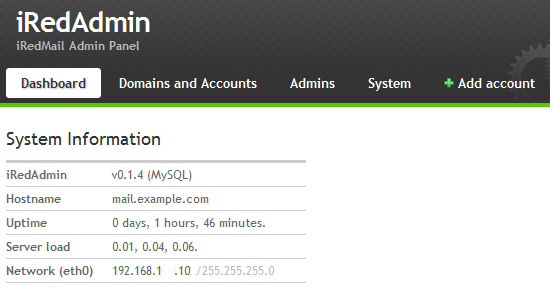 Note: Replace your_server with your server hostname or IP address. 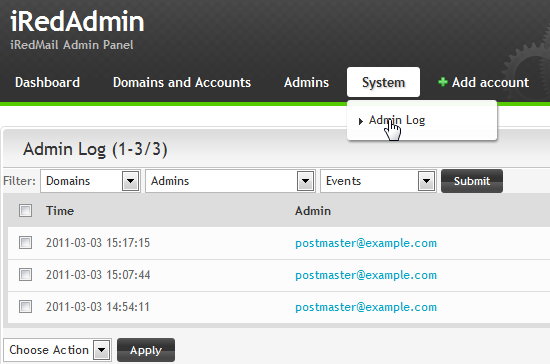 iRedAdmin, phpMyAdmin and Awstats use https access by default. Very nice tutorial but i've a problem. 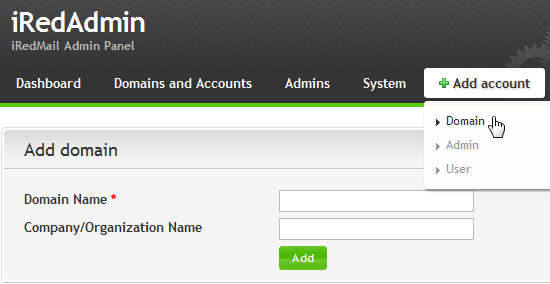 Where can i configure a bind? and how to do that?? ?